In 1996 Gabe Newell and Mike Harrington founded Valve Corporation. Employing a team plucked from the cream of the Quake mod scene, they began work on a horror fps (inspired by Stephen King’s novel, The Mist) known as Quiver, along with a darker, more cerebral title (inspired by Cyan Worlds’ game, Myst), Prospero. Some way into development the two teams merged, taking what they had learned from their respective projects and built a single game from scratch. That game would be the epochal, echelon-defining Half-Life. Leon, Tony, Darren Gargette and Karl consider the importance of the game as well as its standing now. Alongside the main game we also talk of the various expansions and mods up to and including the recently released Black Mesa Source. As ever we also feature correspondence from the forum and your Three Word Reviews. I wish I understood this reference! I had completely forgot about the Grunts, I hated those guys. Gotta say, I loved Xen. I thought parts of it were really memorable. The way the little glowing plant things retracted when you were near them, those sort of atmospheric touches were great. Then again, I had forgotten about the game play in Xen, so I can understand where you’re coming from. I agree with you guys about the some of the gameplay in Xen, but the floating islands and their backdrop are some of my favourite visuals in any game – stunning. I also liked the reduced gravity effect and even got a slight sense of vertigo. Hated those effing howling dog things throughout the game though! FFS! Good to see some of the Xen Defence League here 🙂 There’s no doubt it’s a striking moment when you arrive in another dimension, and yes, some of the visual ideas and graphical touches are sound. Then you have to play the thing..! Can’t believe how much people spoon this series. It really isn’t that good. The protagonist is very one dimensional and bland, and the story is just awful. It’s so convoluted and bland they clearly had to force other elements into the plot just to pad the games length. 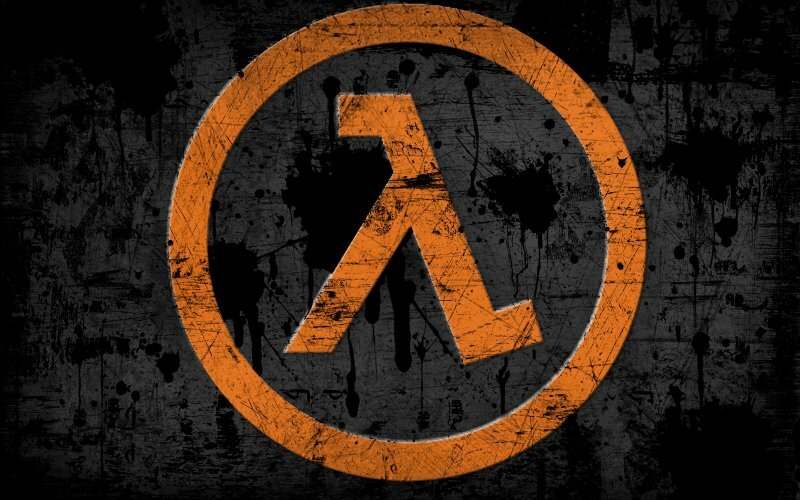 The only good things about Half Life 2 is the source engine and the gameplay. Ah, well now you’ve told us it really isn’t that good Tad, all the incredible experiences many of us have obviously had with it over the past 9 years have suddenly been erased from the cosmic timeline! It clearly doesn’t matter to you what other people think. You just bash them down if you don’t agree. Like in Darksiders, Shenmue etc..I like how everyone always says its got a great story, yet fail to actually explain what it is and what it all means. I never said it was a bad game, it just isn’t as good as people say it is. There are and were far better games out there when this came out. System Shock 1 for example. The reason I put together a podcast, blog and forum (with a lot of help from Jay, Tony and the crew) along with with a large panel and community of contributors is precisely because I care very much about what other people think. I try to avoid talking in absolutes as you are however, and stating opinions as facts. Far from bashing people down re: Shenmue I was bitterly disappointed that I didn’t enjoy the game and expressed my opinion with genuine regret. I’ve never played System Shock 1 so I can’t compare. I loved System Shock 2 though, and its GOG release could mean that we do a podcast about it. Sorry if I came across like that. I never mean’t for it to sound like fact. It’s just my view. A lot of people seem to worship the Half Life series and I think it’s a bit much. I think the story is weak, and the the protagonist is bland. However, the animation and the scripting is superb and the gameplay is a lot of fun too. HL2 has the same, but the source 2 engine is a really big plus. That’s my view. Shenmue..hasn’t dated well, but I praise it because at the time, it was doing a lot of new things and to get that much out of such a machine is truly incredible. The scripting in Shenmue is almost cringe worthy at times though..
As for System Shock, the 1st one is rough, but the ideas are there. SS2 is where they refined it. I agree with you – Gordon Freeman is barely a character at all. I’ve just always found it easier to immerse in games where your avatar is mute, even though it obviously renders scenes of interaction with other characters ludicrous. I know it’s something that a lot of people feel differently about (including our own Sean O’Brien). As I’m sure I stressed in the Shenmue show, I am completely impressed by it as a technical achievement for the time and for the host hardware, and we talked a lot about how ambitious it was. I consider myself a Yu Suzuki fan. But, assessing a game based on one’s own experience is part of C&R’s remit. And playing it through properly for the first time in 2013 was pretty painful for me. That made me sad – I honestly take no pleasure in ‘slaughtering’ ‘sacred cows’ (some critics seem to do it with glee). Good point about Freeman. It can help to have a mute character. The strange thing is, in HL2, I thought everyone but Gordan had good character development.